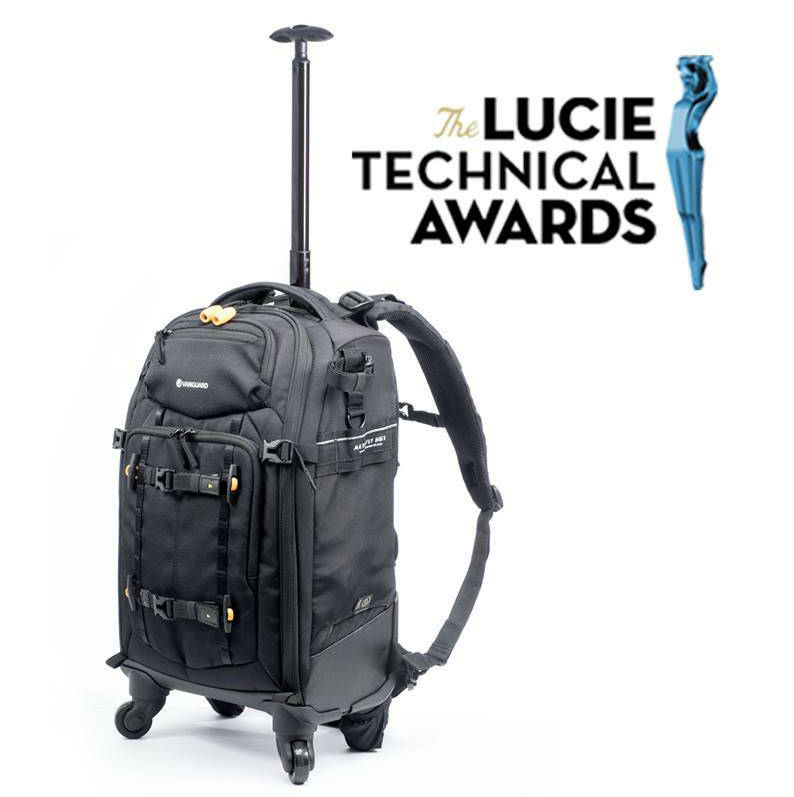 Vanguard is delighted to have been awarded the Lucie Technical Award for ‘Best Camera Bag’ at the fourth annual Lucie Technical Awards in New York in October 2018. The winning bag was the ALTA Fly 55T Trolley/ Backpack which combines the thoughtful design of a rolling studio bag, with the convenience and versatility of a backpack. In fact, the ALTA Fly 55T has racked up multiple design awards since its release; most notably including the 2018 TIPA Award for ‘Best Bag’. "Taking home the Lucie Award solidifies what we at Vanguard already know to be true; Vanguard is leading the way in tripod and bag solutions through innovation and great design! And equally important, we’re introducing these game-changing products at a price point that people can actually afford," said Joshua Pawlak, Global Marketing Director at Vanguard. The bag doubles in function as both a 4-wheel trolley, as well as a spacious backpack, so you can easily manoeuvre it on location or conveniently pick it up and wear it when travelling over rough terrain. And despite all of the gear it can hold, the 55T is still airline carry-on compliant*, and backed by an industry-leading Limited Lifetime Warranty. The ALTA FLY 55T’s well-padded internal compartment opens fully for ease-of-use, and the multitude of versatile dividers can be adjusted to fit 2 CSCs (Compact System Cameras) with up to 6 lenses, or 2 DSLRs with 4-5 lenses (up to 300mm f/4), a flash unit and multiple accessories. It can also carry and protect up to a 14” laptop, a tablet, and a tripod. Ultra-secure, the 55T features a ‘3 Security Point System’ comprised of a buckle lock over the external zipper and an internal full-coverage zippered mesh flap, so that you never need to worry about prying hands or eyes. The ALTA FLY 55T is an agile four-wheel trolley, with a single bar handle and sturdy top and side grips. It also sports an advanced backpack harness that tucks out of the way when not in use, and pull out wheel covers to be used when carrying on your back. Ready for all eventualities, Vanguard has reinforced the bag with durable water/scratch resistant material along the bottom, and a total coverage rain cover is included with purchase. There is currently a £50 cashback offer running on purchases of the bag through the Vanguard website.